k8tography - the Challenges: I Heart Faces - 2011 Photo Contest "Smile"
Over at i heart faces, the theme this week is smile. Every time I look at this image of my daughter - that's what I do - smile. Hope it brings a smile to your face too! Please head on over to i heart faces for loads of wonderful smiles. Don't forget to leave comments - people (ahem!) love them! What fun! Clever, love it! I have been seeing these everywhere I go. 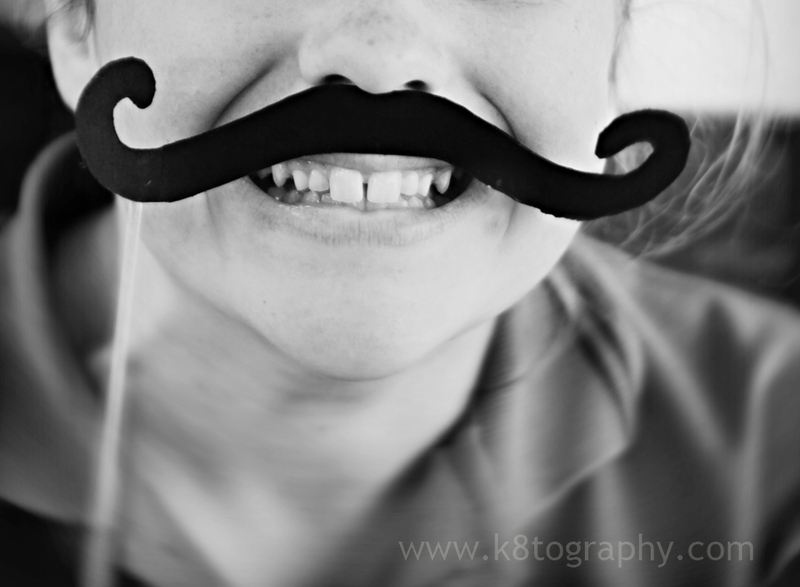 I want to make my girls a mustache :) I love your capture and it made me smile as well :) Happy New Year! Love the idea! good job! It really makes me smile!! So cheerful, does improve my mood!